Posts tagged " Tabernacle "
After two tragic airplane accidents, Boeing is in the news. Possible liability has depressed its stock price and shaved tens of billions of dollars off the company’s valuation. I covered troubling questions of cut corners in the design of the latest generation of the 50-year-old 737 and the disturbing relationship between government and one of its largest military contractors in my podcast here. However, today let’s look at the approximately 2,000 Boeing 737s in the air at any given time every day and the fifteen normal take-offs made by a 737 every single minute of every day. Before each 737 starts to taxi away from the gate, the pilot in the left seat and the first officer in the right work their way down a printed check list that each could recite by heart. “Navigation lights” calls out one and the other glancing at the panel responds, “On.” Then comes “Taxi Lights.” “On.” This is followed by altimeter, radios and autopilot and the correct response for each is “Set.” Not until the long check list has been completed does the airplane begin its pushback. The repetitive routine could anesthetize ordinary people into robotic compliance. But commercial pilots are not ordinary people, they’re professionals and they’ve trained themselves to view each and every run down the check list as if it was the first time. They might have asked one another those same questions on three earlier flights that day but on the fourth, their eyes still scan each switch and gauge with the same alert focus they did on the first. Their confirmations are still precise and accurate. The routine of repetitiveness can dull the senses and even dehumanize us if we fail to learn the secrets used by the flight deck and other professionals. Most of us shower or brush our teeth so automatically that sometimes we don’t even remember having performed these basic ablutions. When the harried young mom tries yet again to teach her toddler not to throw food on the ground during meals it is hard for her not to sound weary; she’s already remonstrated with her offspring eleven times this week alone. When the office worker prepares his weekly report for the forty-third time this year his weariness comes through in the words he chooses to write. Yes, repetitiveness can dehumanize us unless we learn how to transcend it. Successful living depends on establishing routines but we also need the vital life skill of keeping routines fresh so they don’t detach us from passionate living. This indispensable life skill is taught in the longest chapter of all the 187 chapters found in the Five Books of Moses. Chapter 7 in the Book of Numbers details the altar dedication gifts brought by the head of each of the twelve tribes. The first was Nachshon ben Aminadav of the tribe of Judah. While not intending to bore you to death, I am reproducing the text detailing his offering. You’ll see why in just a moment. The next was Nethanel ben Tzuar of the tribe of Issachar. I don’t have to reproduce the text of his gift (Numbers 7:18-23) since it was word for word identical to that of his predecessor. And so with Eliav Ben Cheilon of Zevulun (Numbers 7:24-29) and so with the head of the tribe of Reuven and so on, all the way to the twelfth gift by Achirah ben Ainan of the tribe of Naphtali (Numbers 7:78-83). Every gift was completely identical. Ancient Jewish wisdom explains that although the material details of all twelve gifts were identical, each was enumerated separately because each was uniquely given with its own unique symbolism. For instance, the numerical value of the letters making up the words ‘one silver bowl’ add up to 930 which Nachshon meant to allude to the years of the life of the first man, Adam who lived 930 years. He meant its weight of 130 to allude to Adam’s age when he begat Seth (Genesis 5:3) from whom the world’s population spread. In similar fashion, Zevulun intended his silver dish to represent the oceans upon which he sailed. (Genesis 49:13). Without going into all the details here, each tribe gave the same objects but personalized them all with their own unique identities. Therein lies the secret of escaping the repetitiveness routine. While I may brush my teeth just as I did yesterday, each morning is quite unlike any other morning of my life. This morning is filled with all kinds of yet undreamed-of potential and my conversation with God and gratitude to Him for another day will reflect that each day is a very special day. I might be speaking to my child in just the way I did yesterday but each and every interaction with that tiny potential-filled bundle is its own privilege with its own possibilities. I might be preparing a routine weekly report but if I used the past week well then I am a slightly different person and my work will reflect that fact. And those pilots up front? While you’re settling into seat 27B, fastening your belt and making sure your entertainment system works, the flight crew professionals are meticulously working their way through a routine. They are doing so with the feeling that this is the most important flight ever. This morning’s flights are forgotten; tomorrow’s haven’t yet come to mind. All that matters is this moment when my soul comes together with what I must be doing right now and this blending creates an utterly unique moment, breeding a one-time set of actions done like they have never been done before. 72 verses in the Book of Numbers makes that so clear. 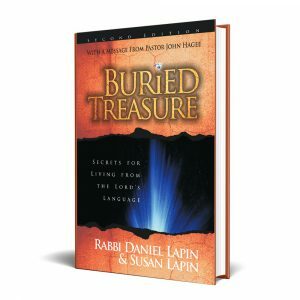 If you’d like to explore the idea of the numerical values of Hebrew words as mentioned above, along with many other unique features of the language that reveal hidden depths in Scripture, take a look at Buried Treasure: Secrets for Living from the Lord’s Language. 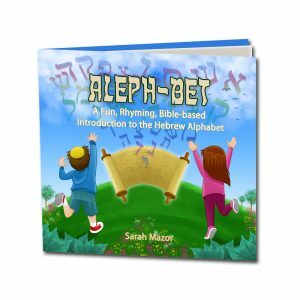 It pairs well with Aleph-Bet: A Fun, Rhyming, Bible-based Introduction to the Hebrew Alphabet for the young ones in your life (or maybe even yourself!). Both books are at a substantially reduced price this week. Does God use art to reveal spiritual lessons? Hi. I’ve just seen your TV show about music complementing scripture and how it is used to help understand God’s intent in his words. Are there examples in scripture where God uses art to help people in their understanding? We think you’re referring to one of our Ancient Jewish Wisdom TV shows where we discussed that, when read correctly in synagogue, the Five Books of Moses are chanted in very specific ways handed down from Sinai. In addition, the service of the Levites in the Temple featured music and instruments. Music adds to the understanding of the Bible’s words and verses and touches our souls in ways that can bring us closer to God. Visual arts, too, are part of God’s revelation. You have surely noticed how much detail is provided about the construction of each piece of the Tabernacle. The materials used, the dimensions and every other detail of construction is specified. This obviously isn’t in order to get featured in an article in House Beautiful magazine. Rather, each detail carries a spiritual message. For one example, see this Thought Tool: Vision – Mission – Vision. An over all take-away for us is that God has gifted us with a wondrous world. We are constantly balancing the spiritual and the physical to best live in that world. Those of us with a connection to God try to be aware of the overwhelming consumerism and misplaced focus on materialism in developed countries today. However, condemning materialism too strenuously can lead to wrongly rejecting the physical part of life entirely. If you’ve never seen the delightful 1950 movie in which Jimmy Stewart plays Elwood P. Dowd whose friend is a six-foot invisible rabbit eponymously named Harvey, you might enjoy it. I too have an invisible friend, though I don’t know how tall he is because he is, well, invisible! He happens to be a highly intelligent Martian named Montgomery, who is entirely and utterly unfamiliar with everything on earth. I find it ever so useful to be able to solicit his opinion about, or his reaction to, various earthly events. Some people dismiss my friend, and insist that all I am really doing is conducting thought experiments but to each his own. Let me give you an example. I introduced Montgomery the Martian to two very different families. The first, residing in Beverly Hills, California, presents their children with the keys to a new BMW car on their sixteenth birthdays and engages a small army of housekeepers and gardeners to free each child from any onerous household chores. The children address their parents by their first names and receive lavish allowances with very little supervision and few rules. The second family lives in a small town near Nashville, Tennessee. Each child carries the responsibility for some aspect of the family’s smooth running. Each child also has a job outside of school and is expected to say, “Yes, Sir” or “No, Ma’am” to his parents. The family attends church each Sunday together and dinner times are also family occasions. The children take turns mowing the lawn and tending to the flower garden. My questions to Montgomery were this: Which set of parents is more likely to raise children with an enduring respect for parents and siblings? Which set of children are more likely to grow up into young adults who will endlessly complain to expensive therapists about how their parents ruined their lives? Montgomery weighed it up and concluded that the parents who gave so much to their children, asking nothing in return, were surely the parents who would enjoy enduring gratitude and honor from their children. As his earthly friend, it was my duty to inform the Martian that he was wrong. In families where frugality is a fact of life and children are expected to behave like responsible family members and to carry their weight, family relationships are far stronger. In January 1991, during “Desert Storm,” a group of American B52 Stratofortress bombers flew to Iraq, bombed their targets, and returned safely home after 35 non-stop hours airborne. In September 1996, the same type of bomber destroyed Baghdad’s power stations as part of “Desert Strike”. The enormous eight-engine bomber was again used in Yugoslavia in 1999, and played a major bombing and support role in Afghanistan in 2001. In November 2015, to deny recognition of China’s claim to some islands, B52s were flown through the region ignoring China’s demand to vacate the airspace. During 2016, B52s based in Qatar flew many devastating bombing missions against Isis. The United States simply does not possess a more capable long-range strategic bomber than the amazing 160 foot-long, 4 story high, Boeing-built Stratofortress. Yet the truly amazing part of the B52 story is that the airplane first saw service in the United States Airforce in 1955. For over sixty years, this airplane has been the backbone of America’s airborne power. It is hard to imagine that the three Boeing engineers chiefly responsible for designing the B52 could have dreamed that their creation would play so important a role in American history for so long. Without the B52 in their arsenal, several famous American leaders might well have failed to achieve their military and political objectives. Though not nameless, those Boeing engineers are not nearly as well known as the political and military leaders who deployed the lethal airplane. Most of us perform our daily work in relative obscurity. We tackle our tasks, confront challenges, strive for success and face failures without ever knowing what vital long term consequences might result from what we did last month. It’s a lot like raising children. It doesn’t bring the fame that might come to the women heading General Motors or Yahoo but without the children being raised as productive and law-abiding citizens today, there wouldn’t be large corporations tomorrow. I really hope that my children think of their childhood with the same sweet nostalgia that I do. Whenever the Lapin family embarked upon a trip, it was usually with at least fifteen suitcases, all of which needed to be loaded into our van. Though I could have done it myself quite quickly, we patiently waited while our young son laboriously loaded every piece of luggage, many of which were larger than he was. My wife always shared the preparations for the Sabbath with our daughters, assigning some children to set the table while others cleaned the house until it shone. Planning menus and cooking were group efforts as well. Especially when the kids were very young, she could have prepared the house and meals for our family and our guests far more quickly herself. By contrast, researchers recognize that generally, American children ignore or resist appeals to help. According to a recent UCLA study, compared to other countries and cultures, and even more importantly, compared to how we Americans used to raise children, parents today are focused on what they can do for their children and don’t think about what their children can do for them. Were my wife and I taking unseemly advantage of free labor or doing our children a favor? Let’s look at a precedent from God. From the moment they left Egypt the Israelites grumbled about almost everything. The people complained against Moses saying what shall we drink? Eventually God told every person to bring of his possessions and get to work building the Tabernacle. This construction project and the service therein occupied the Israelites for many years and the complaining just about ceased. After nightfall on Saturdays my family gathers for Havdalah. With this service we bid Shabbat farewell for another week and prepare ourselves for six days of productive endeavor. During the brief ceremony, we celebrate our sense of smell enjoying the fragrance of some spices, often cloves and cinnamon. When a festival terminates, we also conduct a Havdalah ceremony but without any blessing on smelling the spices. Why the difference? Ancient Jewish wisdom explains that, amazingly, in our world, the actions of humans leave a longer-lasting impression than God’s actions. For instance, Mt. Sinai (where God acted) is largely unknown, whereas Mt. Moriah (where Abraham, Isaac, David, and Solomon acted) is still visited by pilgrims after 3,000 years. Ancient Jewish wisdom further explains that smell is the sense that most strongly links to our memories. I am sure you can think of smells that immediately transport you to images of your childhood. Sabbath was scheduled every seven days by God but we Jews were commanded to set the dates of the festivals by our own calculation. Linking the Sabbath to a smell prolongs the sensation of that day. Since festivals have a human component, no fragrances are necessary for them to cling to us even after they are over. We are more lastingly impacted by the things we do for God like building a Tabernacle than by the many things He does for us. The children of Israel appreciated God more, not less, by giving of themselves for His structure. Likewise, our children are more lastingly impacted when they participate in family life, rather than just being recipients of parents’ beneficence. You can use this information to change important things in your own life. The problem is, you feel shackled to the status quo. It’s like an invisible force imprisons you, yet you yearn to escape. Passively waiting for God – or other people – to solve our problems isn’t the best way to activate change. There is a God-given solution in my audio CD Let Me Go: How to Overcome Life’s Challenges and Escape Your Own Egypt. We’re discounting it online this week so that it is easily accessible to help you change your life. I’d like you to take advantage of this offer now!